Summer camp is a rite of passage for children, one that parents often remember with great fondness. Cookouts, Sing-a-longs, Crazy Games, Nature, Swimming and more are the stuff that summer is made of! But before sending your kids away to camp, for many parents like you, safety is a concern, so here is a list of all you need to know before taking the summer camp plunge. Is Your Child Truly Ready for Camp? Even though your child is old enough to head to summer camp, you still need to determine if he or she is ready to go. If your child is asking to go away to camp, chances are he or she is ready to go. Often kids hear friends talking about summer camp and want to join in the fun. If your child isn’t ready to go, camp won’t come up in your conversations with them. Another way to tell if your child is ready for camp is by their personal experience with sleepovers. If your child made it through the night and enjoyed the experience, he or she may be ready for sleep-away summer camp. The camp you are exploring for your child should supply you with their written health policies including first aid procedures and protocols. You’ll need to provide a health history for your child including proof of immunizations, allergy information, and any medical issues. The camp you chose should have a medical person on site, often a camp nurse, and to ensure the greatest degree of safety all the staff should be CPR and First-Aid certified. As you ask questions, be sure to inquire as to the camp’s handling of serious medical issues like allergic reactions, sprains, and even broken bones as well as where your child will be taken in case of an emergency. You’ll also want to ask about the handling of medications, both prescription and over the counter, your child may need. Many camps discourage sending non-prescription medication, but if you do, the camp staff will take them and dispense them as needed to your child. This is true of vitamins, allergy medications, and pain relievers. It is also a good idea to ask about the camp’s policy for calamine lotion, sunscreen, bug spray, and other over the counter items needed for camp life. In addition to physical issues, the camp should also have a staff who can handle homesickness – a common ailment at summer camp. Knowing what activities your child will be participating in while at camp can help you prepare your child for a fun and exciting camp experience plus it will help you know what questions to ask the staff regarding safety during activities. For example, if your child will be participating in swimming, boating, and other water activities, you can ensure supervision meets your expectations. Or if your child has allergies, you can prepare your camper and the counselors for potential encounters with allergens such as exposure to horses, bees, and more. Here is another opportunity to explore how you will be contacted should an emergency situation arise as well as how the camp will handle it – all extremely important depending on the activities that are part of your chosen camp. Food can be a safety concern for parents, particularly if their child has any food allergies. Parents should inform camp staff of any allergies, as well as any religious, cultural, or health exclusions in the child’s diet. In addition, parents should also ask about the transportation used for the getting the campers to and from activities, including buses, vans, and boats, all vehicles should receive continual upkeep by professional mechanics. 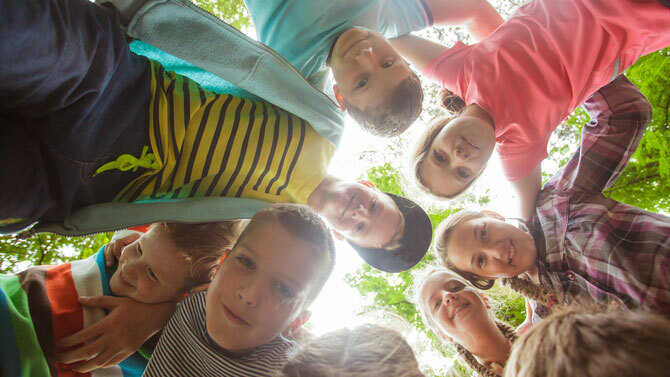 Asking questions before sending your children to camp can ensure their safety and give you the peace of mind you need while they are away having an exceptional summer camp experience.